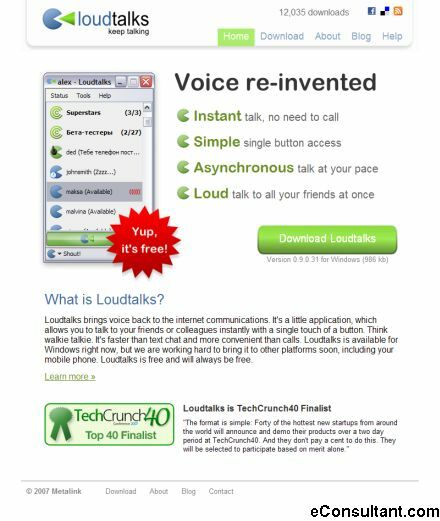 Description : LoudTalks is about voice communication without calls, instant messaging without typing. There are no typos, no calling, no busy signals. And, group communication with LoudTalks allows everyone to participate at their own pace, without interrupting normal activity.